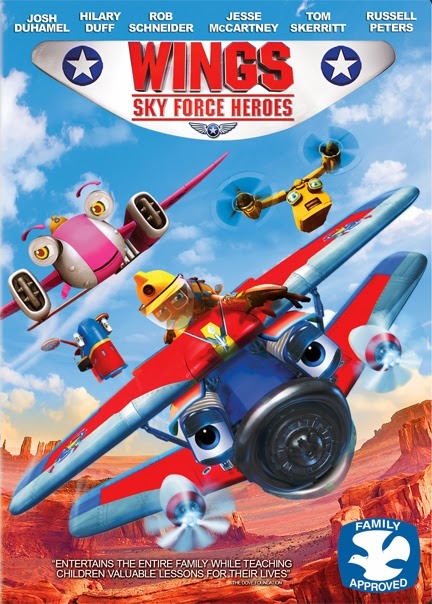 Josh Duhamel (Transformers) is back as Ace in the thrilling story about a heroic pilot seeking redemption in the DOVE-approved family adventure, Wings: Sky Force Heroes, arriving on DVD (plus Digital UltraViolet) exclusively at Walmart, Digital HD, Video On Demand and Pay-Per-View July 8 from Lionsgate Home Entertainment. In the sky-high follow up to the animated feature Wings, an all-star cast including Rob Schneider (Grown Ups), Tom Skerritt (Top Gun), Jesse McCartney (Alvin and the Chipmunks), Hilary Duff (A Cinderella Story), Dallas Lovato (Birds of Paradise) and Russell Peters (Source Code), all return to help firefighter Ace remember why he loves being a hero. When Ace (Duhamel), a cocky young firefighter, defies his Colonel's (Skerritt) orders and recklessly attempts a solo mission, it leads to disastrous consequences. Ace, along with Fred (Schneider), his trusty co-pilot, quits Sky Force and resigns himself to hauling coal for Mr. Steinway (Peters), until one day a fire breaks out in the mines! With the help of his friends: Windy (Duff) and T-Bone (McCartney), Ace must overcome his fears and become the hero he was destined to be. 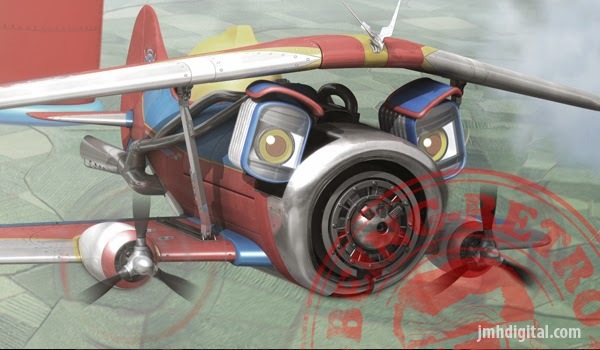 Timed to the theatrical release of Planes: Fire and Rescue, the Wings: Sky Force Heroes DVD features all-new bonus material including a look at the making of the film and a sneak peek at award-winning Miniscule shorts, and will be available exclusively at Walmart. I at first thought this was a live action film, but pleasantly surprised it was animated. It was a great feel good flying adventure with voices that you will be saying "who is that voice"? Varese Sarabande... New Releases TODAY! Intrada is Having a Sale on Soundtracks/Scores! SABOTAGE - Blu-Ray Release on Tuesday, July 22nd! Anime Central [ACEN] ... 2014 in Photos! La-La Land Records... Get's Really Naked! David Boreanaz...Coming to Chicago Comic Con!